Born James Patrick Slattery on August 25, 1904 in the First Ward of Buffalo, NY. Slattery's interest in boxing began as a child when his father took him to the First Ward Athletic Club to watch boxers, including heavyweight champion Jess Willard, train. He turned pro in 1921 at the age of 16 and won his first 35 fights before tasting defeat for the first time. A boxing master, the handsome Slattery was said to have it all – movie star looks and innate boxing ability. He boxed with his hands at his side, but speed and instinctive defensive moves made him particularly difficult to hit. In 1924 the 20-year old phenom was matched against the rugged Harry Greb and lost a decision. “Slats” rebounded to defeat Jack Delaney, Maxie Rosenbloom and Johnny Risko among others. Notable defeats came at the hands of Dave Shade, who unexpectedly stopped Slattery in 3 rounds, and an 11th round TKO loss to Paul Berlenbach. On August 30, 1927, the “Buffalo Harp” won the vacant NBA light heavyweight title with a 10-round decision over Rosenbloom. He lost the crown to Tommy Loughran in one of the best displays of boxing by both men on December 12, 1927. Slattery fought for the NYSAC title against Lou Scozza on Februay 10, 1930 and won a 15-round split decision. His nemesis Rosenbloom relieved him of the title on June 25, 1930 via 15-round split decision. Slattery lost his last title match against Rosenbloom in 1931. 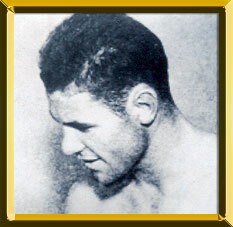 In 1934 he hung up his gloves with a record of 114-13-2 NCs (48 KOs). With most of his ring earnings gone from years of fast living, Slattery worked for the city of Buffalo during the Depression. Afflicted with tuberculosis since the early 1940s, he died from the disease on August 30, 1960.